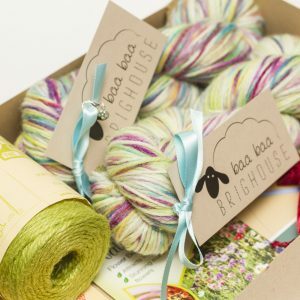 Here we take a closer look at our speciality yarn boxes which have become more of a regular feature here at Baa Baa Brighouse during 2018. Our speciality boxes are exclusive and are only available for a limited time period from when we open and close sign ups. They celebrate special periods and occasions throughout the year and always include 200g of Baa Baa Brew DK 100% British Bluefaced Leicester yarn hand dyed in a unique colourway. Each box also contains a range of superior quality gifts, many from fellow Yorkshire based businesses such as The Yorkshire Soap Company, Betty’s, Taylor’s of Harrogate, Lottie Shaws, Lucy Pittaway and Kate Broughton to name a few. Our most recent box was our May Day Yarn Box which featured a one-off colourway, ‘Maypole Ribbons’. Boxes also featured lots of lovely goodies based around the May Day theme. 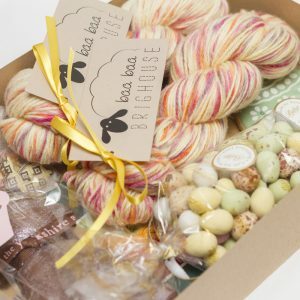 At Easter we put together a gorgeous yarn box featuring ‘Chickadee’, again a one-off colourway. The box included yummy treats from Betty’s and super cute gifts from The Yorkshire Soap Company. In March, we released a Spring Equinox Yarn Box aimed at celebrating this very special time of year. The unique colourway is called ‘Spring Has Sprung’. 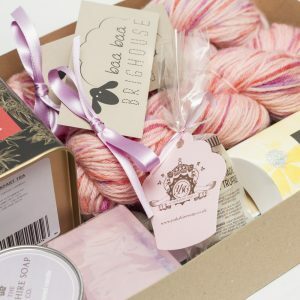 For Mother’s Day, our specially curated box featured yarn called ‘Mothering Sunday’ and some absolutely fabulous gifts from Hotel Chocolat, Betty’s and The Yorkshire Soap Company. 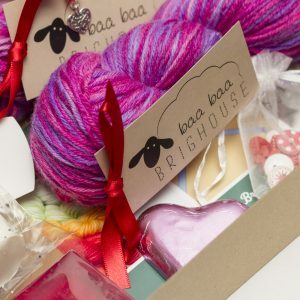 Our Valentine’s Day Yarn Box was also hugely popular with a box of indulgent treats to satisfy the most hopeless romantic. 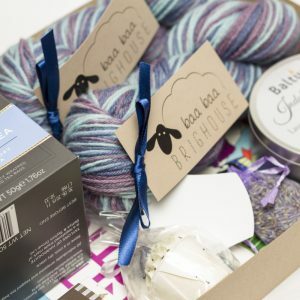 In January, we helped our wonderful customers beat the January blues with our specially curated box featuring a package of self care products and some beautiful ‘Tangled Up In Blue’ yarn. If you like what you see, why not sign up for our next speciality yarn box which is our Summer Solstice Yarn Box. 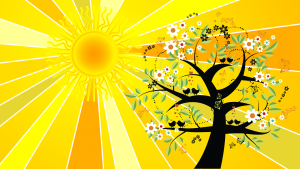 Summer Solstice, also known as midsummer, will take place on June 21st in the northern hemisphere. Summer Solstice is the longest day of the year and for many signifies the beginning of summer and is taken to be a sign and celebration of fertility. 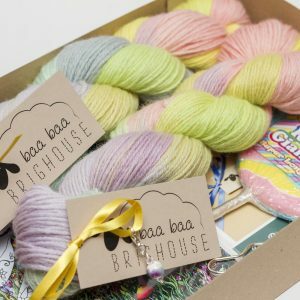 Our Summer Solstice Yarn Box will contain 200g of Baa Baa Brew DK British Bluefaced Leicester yarn in an exclusive variegated colourway designed especially for the Summer Solstice. Boxes will also include a host of other quality goodies to celebrate the event. Boxes will be available to purchase until Friday June 8th and will be sent out in plenty of time for Summer Solstice, which falls on Thursday June 21st, 2018, in the northern hemisphere.